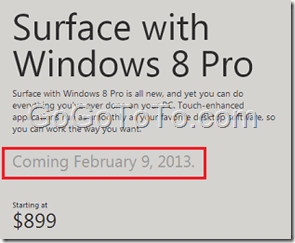 Today Microsoft General Manager of Surface Panos Panay Posted a blog which is about the Surface Pro (note: not Surface RT which you see in the market now) will be available in 2013 January. Also he mentioned the prices. These information are just wanted by lots of Microsoft fans, who are waiting for a nice, professional tablet but should be from Microsoft, running Windows 8 pro, but not Windows RT. Because, we need a tablet, but also we want a real computer, which has the same feature like a laptop, but another hand like a tablet also. 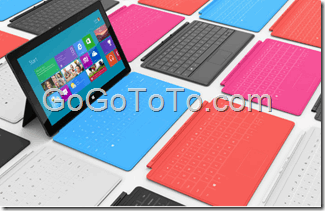 So, Surface Pro is just it: a laptop with tablet style! so most of Microsoft professional guys can run current Windows applications on it without any changes. because it is just a new PC with Windows 8 pro installed. On the inside, Surface with Windows 8 Pro will come with Intel’s next generation Core i5 processor… Surface with Windows 8 Pro also includes a full-size USB 3.0 port. Its Mini DisplayPort can drive an external display up to 2560X1440 resolution. .. 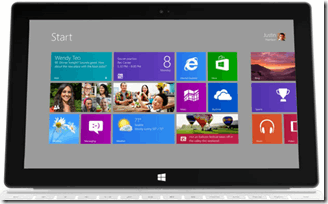 Surface with Windows 8 Pro will run your current Windows 7 desktop applications – it’s a full PC AND a tablet. We just posted “Microsoft’s Big Event Today ?”, now everybody knows Microsoft unveiled their new tablet on this event, they call the new tablet ‘Surface’ . Microsoft announced again they are not only software company, but also they can make hardware products such as Kinect, XBox. now they have Surface. 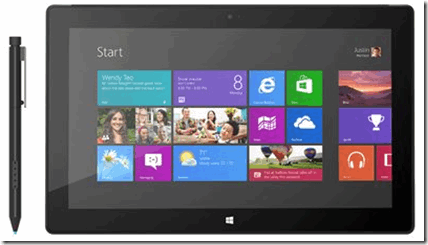 The Surface tablet has different hardware material and design, also different software of course – Windows 8. Kickstand: a stand is integral. it is built in the Surface. 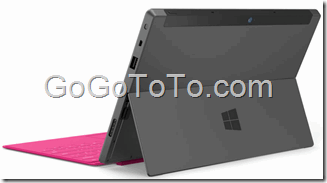 Surface is the first PC with a magnesium case. Currently you can watch the introduction video and pictures gallery. 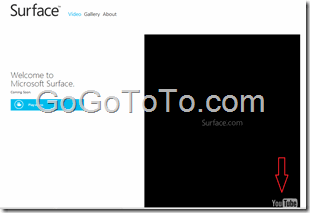 Let’s waiting for more information from Surface.com.